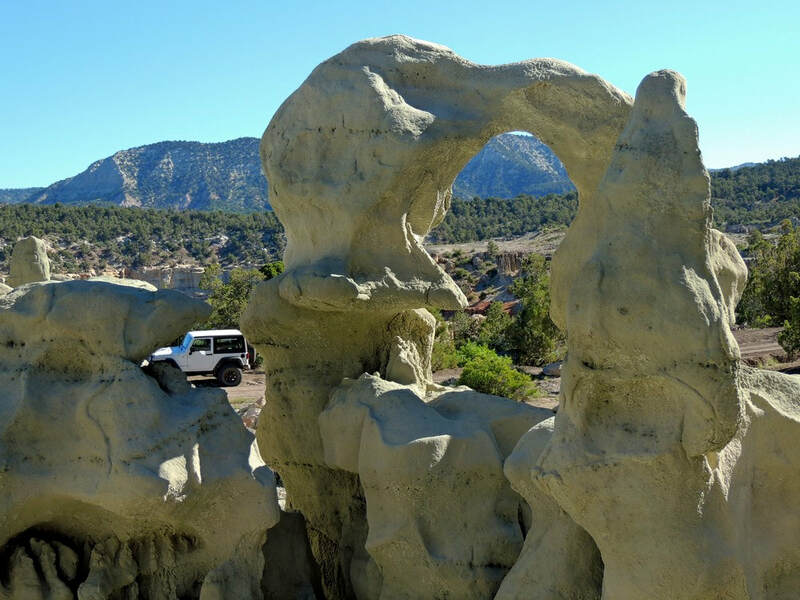 Grand Junction, Colorado is a nice town and has a range of Jeep and ATV trails from 5,000' elevation near the Colorado River to 10,000' on Grand Mesa. There is an interactive map with ALL TRAILS in the region on one map so you can put them in perspective. We have wanted to explore this area for several years and finally put it in our schedule in 2016. ​​All trails are detailed on this website with maps, descriptions and photos plus GPS & gpx tracks. ​Unfortunately, we tried to do our off-road exploring in mid-June when the temperature was 100 degrees in the low country and Grand Mesa was still snowed in. We did not do many trails but will certainly return in the future. List of Trails - List of all Major trails in the Region. Click to bring up a web page and GPX file for each trail. GPX Files - Download GPX tracks to your phone or tablet, follow them on a map and never get lost! Interactive Map - Click a trail and go to trail web page.​ A topographic map is also available. List of Trails - There is a GPX track for each trail on each web page. GPX Files - This section allows you to download all trails and waypoints in a few steps, rather than individually from trail web pages. You will know all the roads around you out in the field, and you will know what all your travel options are. You can have all trails on your device and only turn on the one you want to run. This is the only place you can download Access Roads and Minor Trails. ​​If you do not want all trails on your device, we strongly suggest you at least download all Access Roads so you can get around the Region. Then download tracks for individual Major Trails from the bottom of the individual Major Trail webpage.